We all know THAT we need to get a better night’s sleep. But what are the Psychological benefits of sleep? And how much sleep should we get? About 20 years of our life time are spent sleeping, but most of us don’t sleep for the recommended minimum of 8 hours a night. Common sleep mistakes mean we don’t reap the numerous health benefits of sleep, or perform to the best of our ability. Getting a good night's sleep has been proven to have numerous benefits to your health and cognitive performance. Concentration – a good night's sleep improves attention and alertness. Memory – sleep affects our ability to recall and link information. Insight – sleep can help your ability to gain the kind of knowledge that has an instant impact on your thinking and behaviour. Creativity – REM sleep has been proven to be beneficial for creative processes. Your immune system - sleep can help your body to defend against illness. Television - watching TV before bed leads to going to sleep later. Napping - napping at the wrong times can effect your ability to sleep at night. An irregular sleeping pattern – going to bed a different times each night confuses your internal body clock and messes with your sleeping pattern. Using your phone – the bright light from your phone mimics daylight and stops melatonin being fully released, keeping you wide awake. Caffeine – Don't drink caffeinated drinks before bed time or you won't be able get to sleep! Research shows that those who get a better night's sleep get a range of health and psychological benefits. But what are these benefits? And how can you get a better night's sleep? 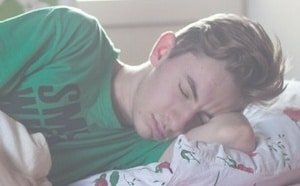 This page will help you to learn the best techniques to get a good night's sleep and connect you to some useful blogs and resources. Exams on the horizon? 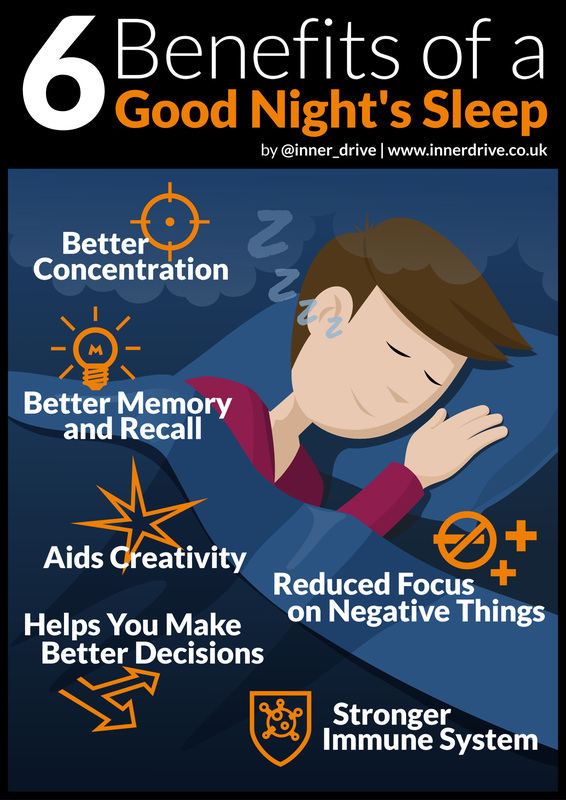 Getting a good night's sleep can benefit your ability to retain information and help you concentration. Click below to find out more. This guide explains some of the benefits of sleep and offers some tips on how to become a master of getting a good night's sleep. You've heard a bit about this already, but here's a comprehensive blog on all the most common sleep mistakes that stop us feeling the benefits of sleep! 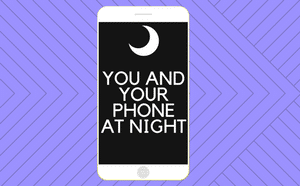 Download our infographic on you and your phone at night. 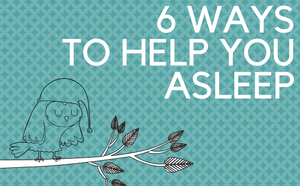 It can be printed out to help you get the benefits of sleep! 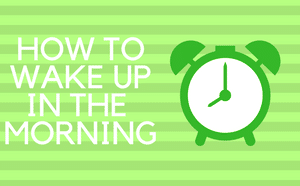 Download our infographic on how to wake up in the morning. 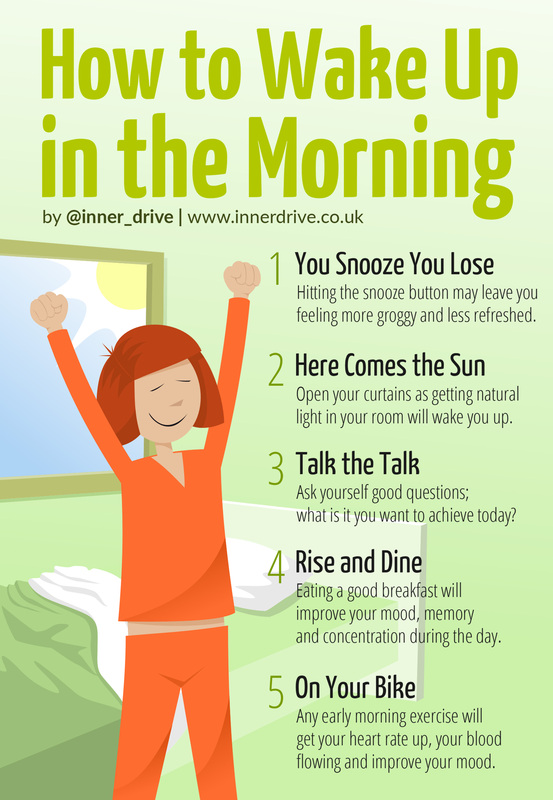 Getting up right can also help you to feel the benefits of sleep! 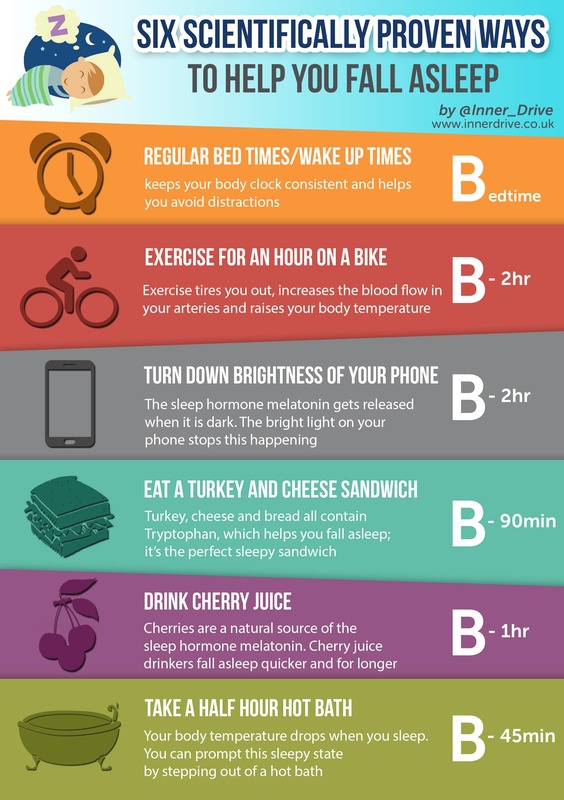 Print out this handy graphic to remind yourself of the best way to get a good nights sleep! How can I get a better night's sleep? By cutting out 9 of the most common sleeping mistakes. 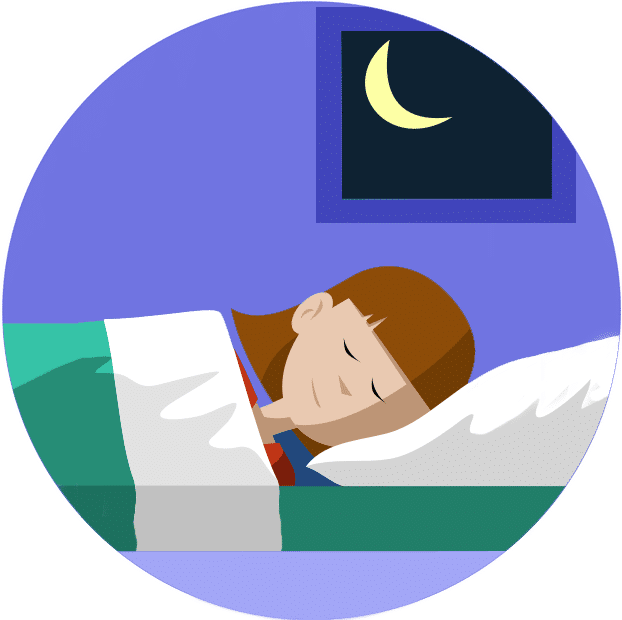 How much sleep should students get each night? 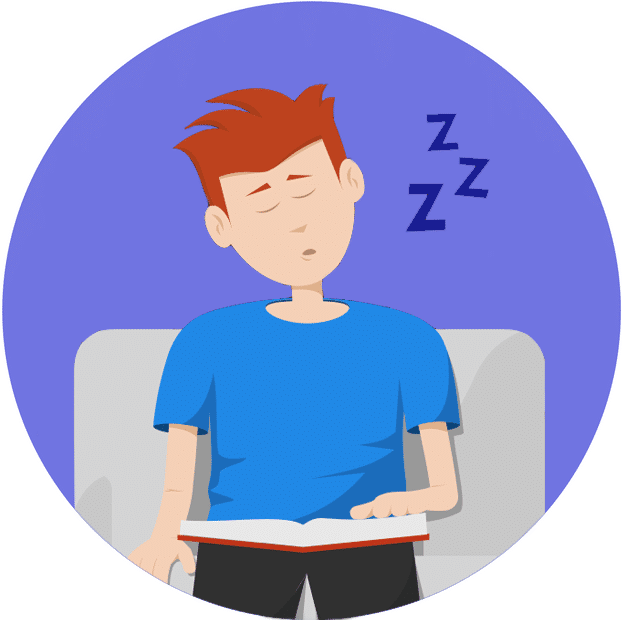 Many students incorrectly believe that they only need 7-9 hours of sleep a day, which is the same as adults. However, they actually need more sleep at 8-10 hours in order to ensure that they can perform at their maximum the following day. What should I do before I go to sleep? Read a book before going to bed to stop you from overthinking what you have to do tomorrow. Taking a hot bath can be good too as the drop in temperature you experience after getting out is similar to what happens just before you sleep. Getting enough sleep is vital as sleep deprivation can have a serious effect on your emotions. This is because it causes moodiness and irritability whilst also encouraging pessimistic thinking. Sleep deprivation greatly reduces concentration levels and memory too, whilst causing deterioration in your ability to make decisions. 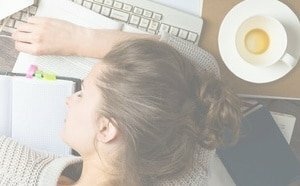 What blogs have you published that will help me feel the benefits of sleep? We've got loads of helpful stuff, to browse through all our blogs go here. The main blogs on how to sleep better and the benefits of sleep can be found by clicking on these links. 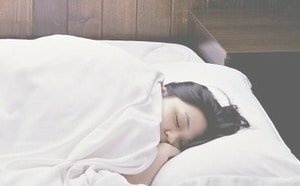 Can you recommend more stuff for me to read about getting a better night's sleep? BBC iWonder - Are you getting enough sleep? Are your students missing out on the benefits of sleep?